No, not the bassist for the Red Hot Chili Peppers. The common flea is dark colored and flattened from side to side with bristles pointing back. The flea has sucking mouthparts that are used for the drinking of blood of mammals and birds. The flea has a complete metamorphosis, from egg stage, to larval, pupal and adult stage. 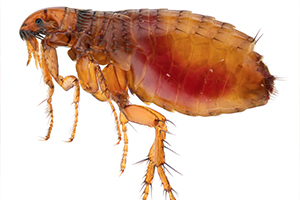 There are many types of fleas including the cat, dog, human and squirrel flea. Although the type of flea has a preferred host, that does not mean that they will avoid attacking another type of host. Most fleas prefer warmth rather than cold and will abandon a host when it dies. This behavior is a possibility for the cause of bubonic plague, as the flea left the host and found its way to a human for a new host. Fleas are attracted to movement. Often a deserted house is entered and the vibrations of the movement that are made cause the fleas to come out of their hiding places and attack the intruder. Oh, the icky, sticky, selfishly prickly tick. They just aren’t cute and they are just so troublesome. The two common ticks are the brown dog tick and the deer/bear tick. The brown dog tick gets its name from its appearance, which is a reddish-brown color, and is most commonly found on dogs. This tick rarely attacks a human but they can serve as a vector for Rocky Mountain spotted fever along with other disease organisms. The female will drop off the host to lay thousands of eggs in a sheltered spot such as cracks and crevices up in a wall or ceiling. She dies after laying the eggs and the eggs hatch within 19 – 60 days. The brown dog tick does not survive well outside and prefer a warm dry area. They will attach themselves anywhere on a dog but on adults they typically like to attach by the ears and toes and the larva can be found on the back of the host. The deer/bear tick’s body is orangish-brown and the rest are dark reddish-brown. 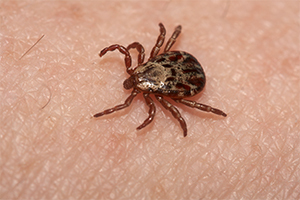 Precaution must be taken if this tick is found on a human host because of Lyme disease. The female will mate with the male during the winter and the male will die shortly after. The female stays on the host until springtime where she drops off the host and will deposit up to 3,000 eggs. The deer tick will climb shrubbery or grass and wait for a passing host. One infestation to note is the den of animals where the deer tick will feed. 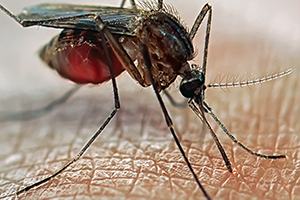 Why is the Mosquito Repellant industry earning more than $4 billion a year? It’s not just from the cause of Hope Solo’s phobia, the Zika virus; no, it’s more: Mosquitoes are vectors of numerous diseases such as malaria and yellow fever. The best way to control the mosquito is to control its breeding grounds. This includes getting rid of standing water, making sure not to over water plants and lawns, cleaning out clogged gutters and making sure that leach lines are not faulty. The northern house mosquito is the most common to the northern states. It is pale brown with whitish bands across the abdomen. The females lay their eggs early in the spring. They are laid in masses of 50 – 400 eggs on a raft-like construction. So while repellants may help, they don’t work for long, and they don’t prevent mosquitos from returning. Preventative measures work best for long-term solutions. “Good night… Sleep tight… Don’t let the bed bugs bite!” Who coined that phrase? 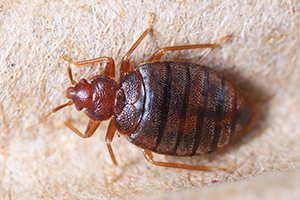 Were bed bugs accepted in beds at one time, for someone to say, ‘don’t LET them bite?’ Bed bugs are more likely to make an appearance in a house that is not well kept and clean, but that is not always the case. Once they are in the home, they will find crack and crevices to invade. This includes buttons on mattresses, in the coils of the bedspring, upholstered furniture, behind pictures and around floorboards. The bed bug is oval, has a flattened appearance and is reddish-brown or blood colored when fully fed and light tan when hungry. The bug inflicts a painless bite that most people don’t notice as opposed to the few that experience an allergic reaction to the bite. People that are sensitive to the bite could experience nervous and digestive disorders.